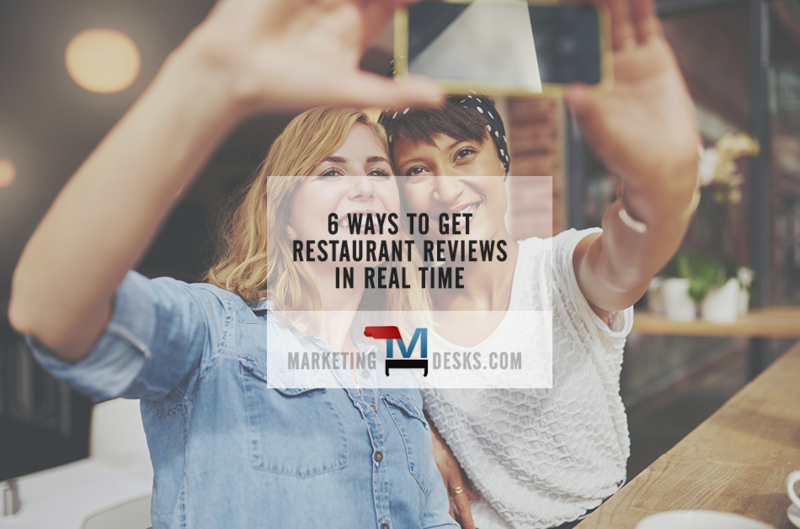 Use tech to motivate real people to leave real restaurant reviews in real time. 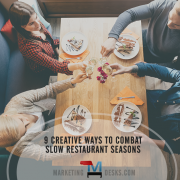 There are more ways than ever for people to leave restaurant reviews, ratings, commentary and other business building – or business killing – content. Yelp is about to release a new mobile app making is possible for diners and drinkers to leave reviews for restaurants and bars in real time, and restaurant chains like Hooters® have already launched campaigns designed to encourage patrons to share their experiences across social networks. If something outstanding happens or something terrible happens, chances are someone will capture the moment and it could live in your online restaurant reviews forever. 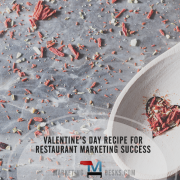 When you depend on getting found online to attract new clients, you have to have a plan to address restaurant reviews, social media posts and other marketing events that happen online in real time. This is perhaps even more true for independent restaurants, bars, coffee shops and similar businesses. Attract new customers by increasing your presence on mobile platforms (where real time recommendations and online reviews matter most) and using social networks to encourage patrons to leave positive restaurant reviews in real time to help you get the most of word of mouth marketing. Your mobile marketing strategy must include a website that is designed for big visuals and easy navigation on mobile devices. Specifically, having mobile-friendly restaurant websites optimized for local search is critical. Why? 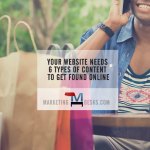 A 2012 survey of more than 1500 US smartphone and tablet users found that 64% of mobile searchers convert – or take action – within an hour of searching for a restaurant online – and with more smartphones and tablets coming onto the market each year, you can only expect this number to increase. 2. Remind customers to check in on their smartphones and tablets when they arrive. Signs at the entrance, front desk, bathrooms and even on table tents at your restaurant can help encourage your customers to check in using their smartphones and post automatic social media status updates telling friends, family co-workers and other local acquaintances exactly where they are: At your restaurant! 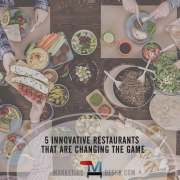 Make this behavior even more common for your regular customers by incentivizing restaurant patrons to try newly launched menu items or add-ons by delivering mobile coupons and offers to them automatically when they check in on mobile and social apps. 3. Print URLs for sites where they can complete surveys and leave restaurant reviews on receipts. 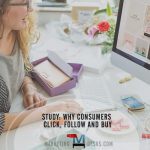 It’s becoming a common practice to include website links on receipts where customers can go online to leave reviews or comments about a shopping or dining experience. Create simple online forms or even simply invite restaurant customers to leave reviews on your social networks by including your website or survey URL on customer receipts. 4. 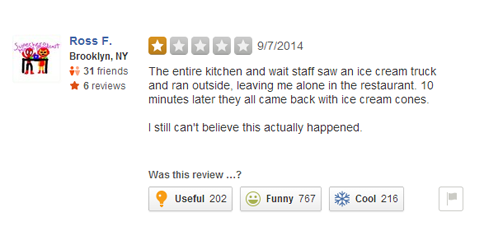 Ask for real time restaurant reviews. Feature the URL for review sites or your social networks on your restaurant’s napkins, drink coasters, table displays or even on your menu. Real time restaurant review TIP: Make your restaurant’s customer experience fun and even more memorable by assigning a staff member the task of producing real time videos for Facebook, Vine and other social sharing sites during or at the end of your patron’s visit – and be sure to get their social media “handles” so that you can tag them in the video for easy sharing to their own social networks! 5. Make reviews and hashtags the new “free lunch” fishbowl. Remember the fishbowl at the front desk where customers could place a written entry or business card for a chance to win a free lunch during the next month? You can make hashtags (hash tags, which are “#” or pound signs, immediately before a word such as #restaurant or #marketing help classify content for online search) the new free lunch fishbowl. 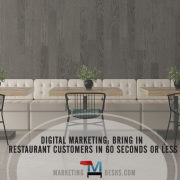 Use in-restaurant displays, server scripts, email and mobile marketing updates to let customers know that their online reviews including certain hashtag phrases or social media mentions using specific hashtags serve as their entry into drawings for freebies or add ons. Social media status updates can be a valid and much more publically-visible substitute for old fashioned hand written thank you notes when you post a status update thanking a loyal patron who left a favorable comment or positive restaurant review for you online.